Soundgarden was supposed to headline the opening night of Columbus, OH festival Rock on the Range before Chris Cornell’s tragic death. 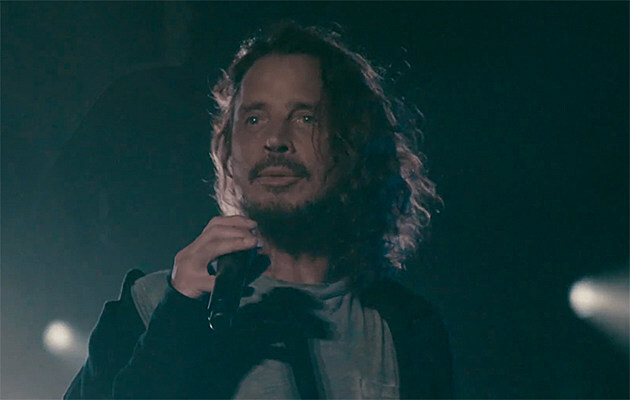 Instead of finding a replacement at such short notice, the festival put together a tribute to Cornell, including a video of his isolated vocal track on “Black Hole Sun.” Watch the goosebumps-inducing video below. The first day of Rock on the Range included other tributes to Cornell’s passing, as well. Slipknot and Stone Sour’s Corey Taylor and Stone Sour’s Christian Martucci dedicated a cover of Pink Floyd’s “Wish You Were Here” to Cornell, then covered Temple of the Dog’s “Hunger Strike.” Live covered Audioslave’s “I Am the Highway,” and Bush played the refrain of “Black Hole Sun” before launching into R.E.M.’s “The One I Love.” Watch videos below. Sum 41, Gojira, and others also played the first day of the festival, which was plagued by a four-hour weather delay starting at 3 PM due to lightning storms and rain in the area. Megadeth, Heart’s Ann Wilson, Josh Klinghoffer of Red Hot Chili Peppers and others recently covered Cornell’s songs in his honor. Tons of artist tributes came in through social media, as well. Cornell fronted Soundgarden for the last time on May 17 at Fox Theatre in Detroit.